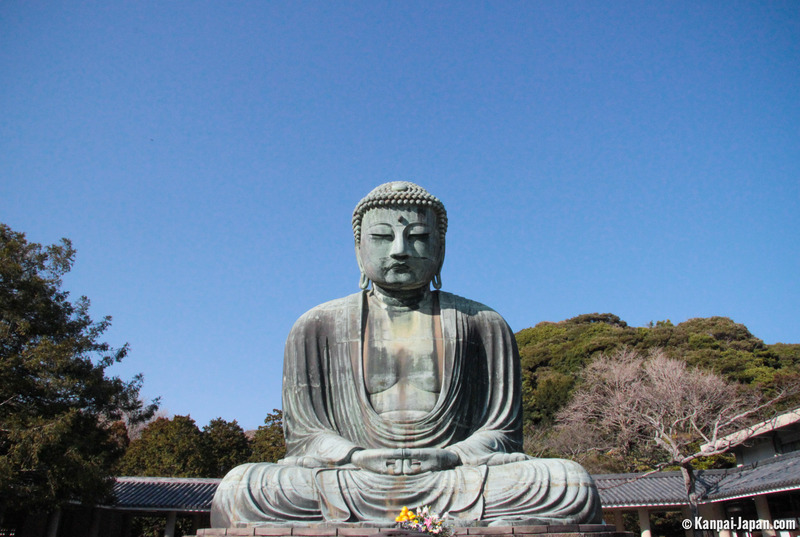 Although it tends to be commonly referred to as the Buddha of Kamakura, this large bronze statue of Amithaba (Amida) belongs first and foremost to the Kotoku-in compound. 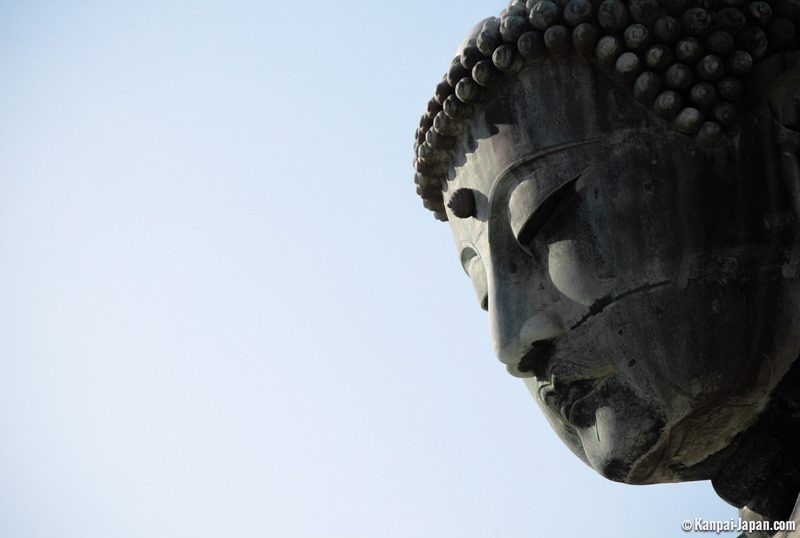 The original statue, a wooden version that got damaged by a storm, dated back to 1252 and stood inside the temple of the same name. 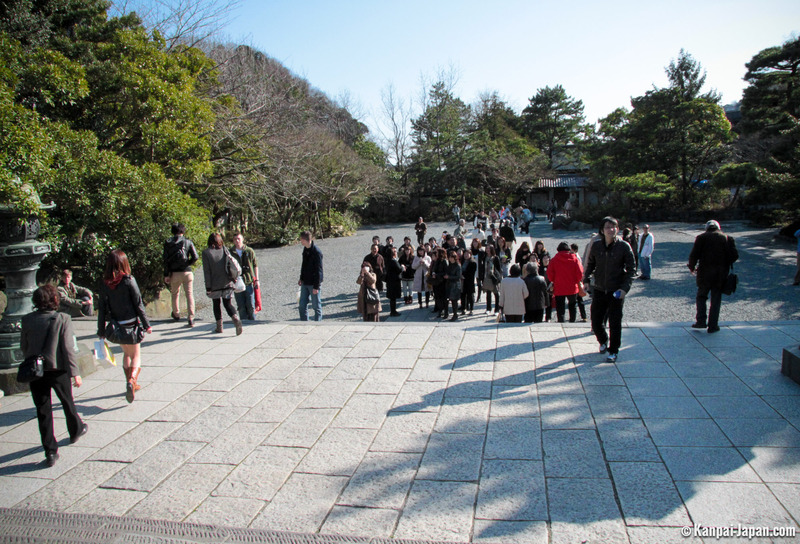 The buildings were damaged by successive typhoons and storms in the 14th century. 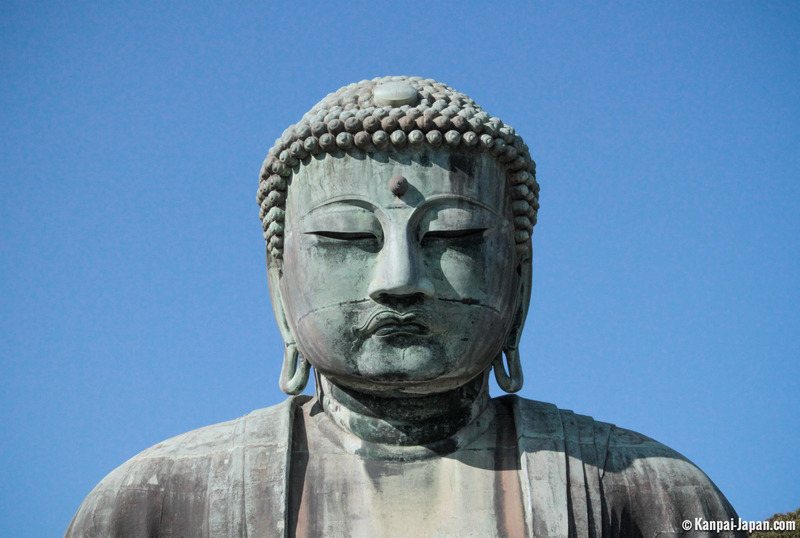 They were finally destroyed by a tsunami in 1498 and the statue has since then been standing in its current outdoor location. 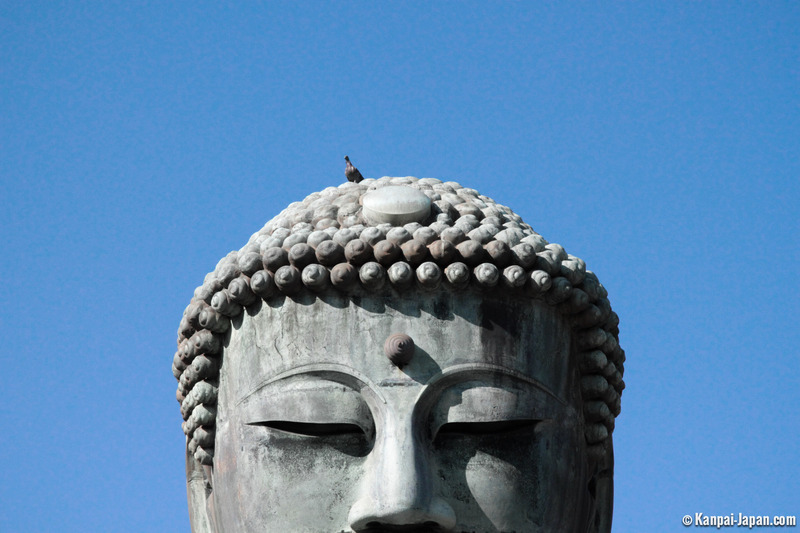 Over the centuries, the gilded surface of the statue became weather beaten and shed most of its luster although some traces are still visible if you look carefully. 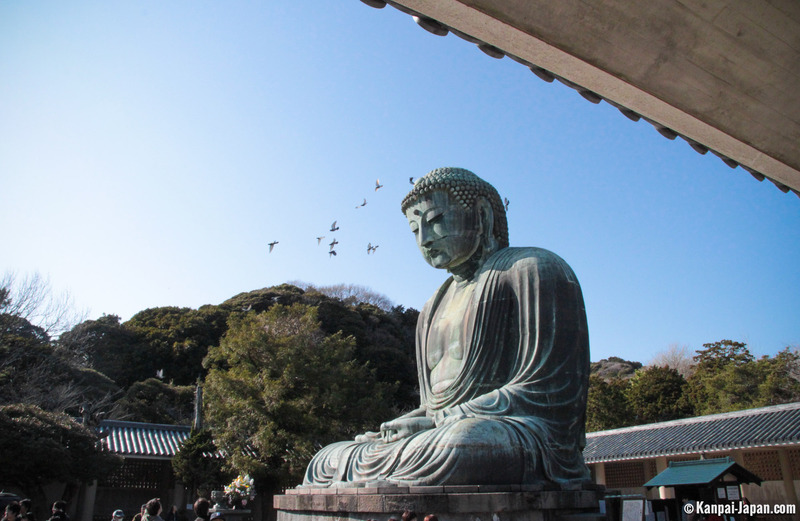 This Daibutsu is unarguably the most famous spot for tourists in Kamakura. 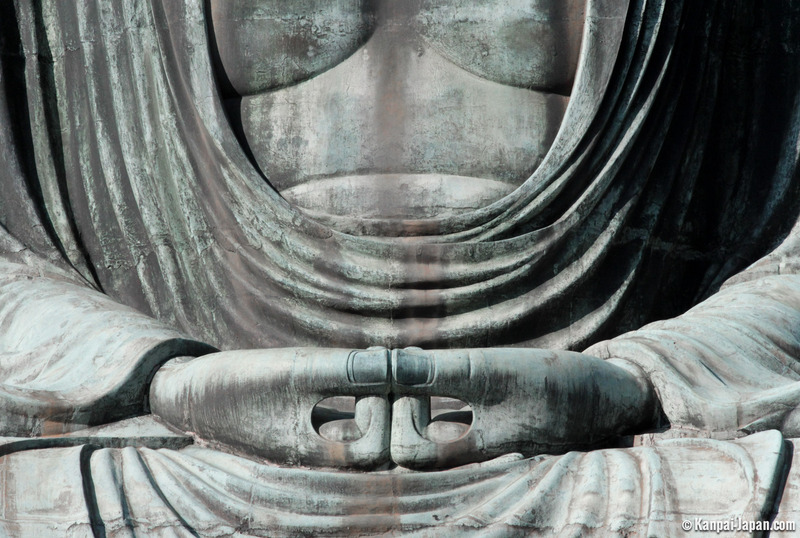 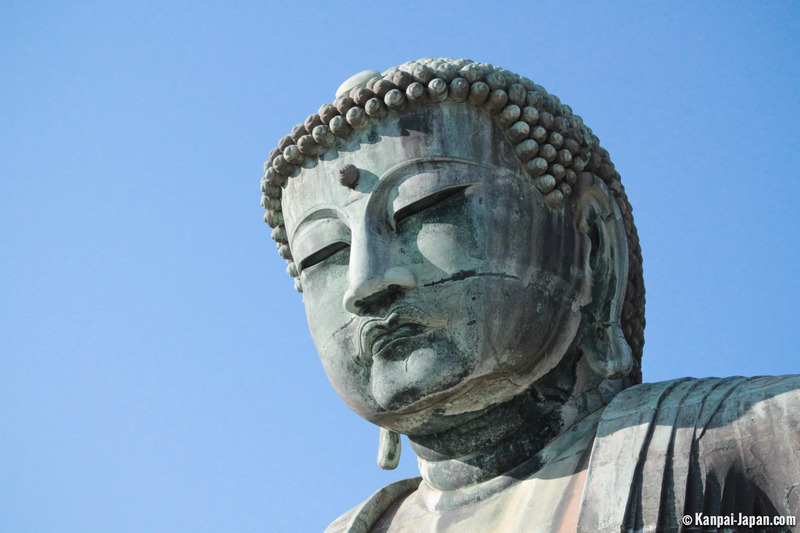 It is often referred to as the second largest Buddha in Japan with its 11.31 meters in height (and 13.35 meters / 121 tons if you include the base), but one should not forget to specify that it is a bronze statue of a sitting Buddha. 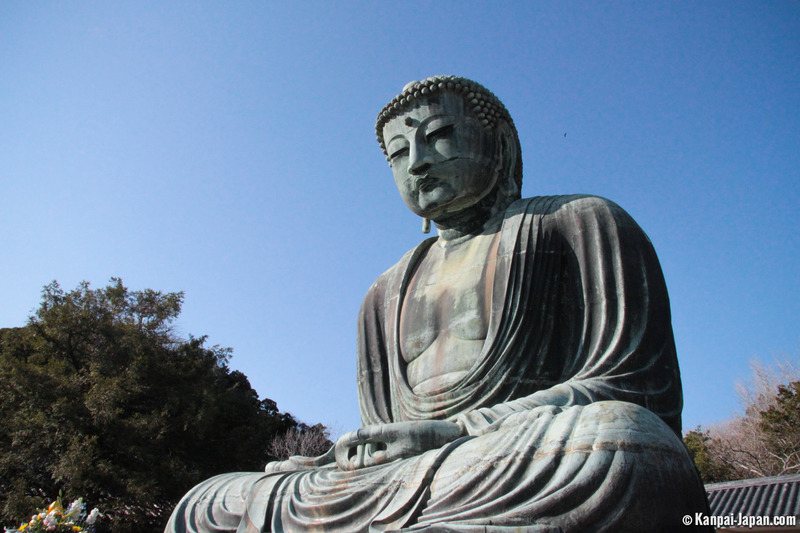 Indeed, even though it is only 3.7 meters short of the Tôdai-Ji at Nara, it is a far cry from the Nokogiriyama, and the Buddha of Ushiku leaves them all far behind! 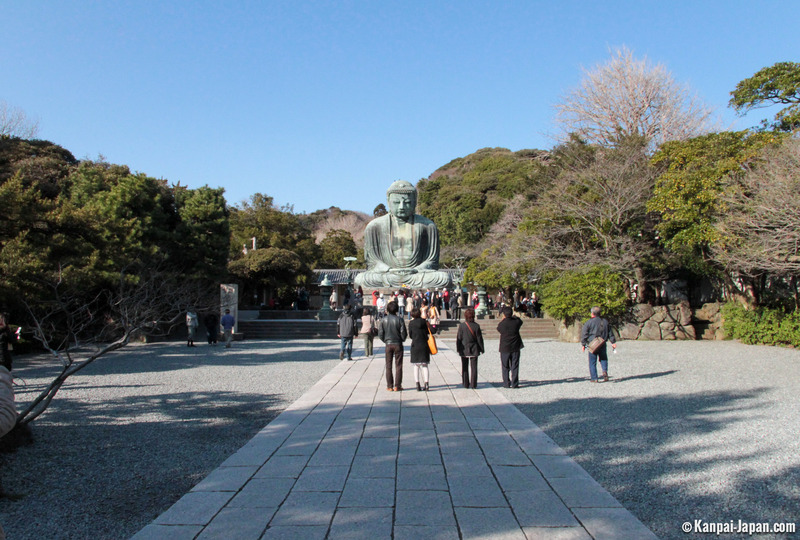 However, this question of size does not impact the delicate beauty or the majestic position of the Buddha of Kamakura. 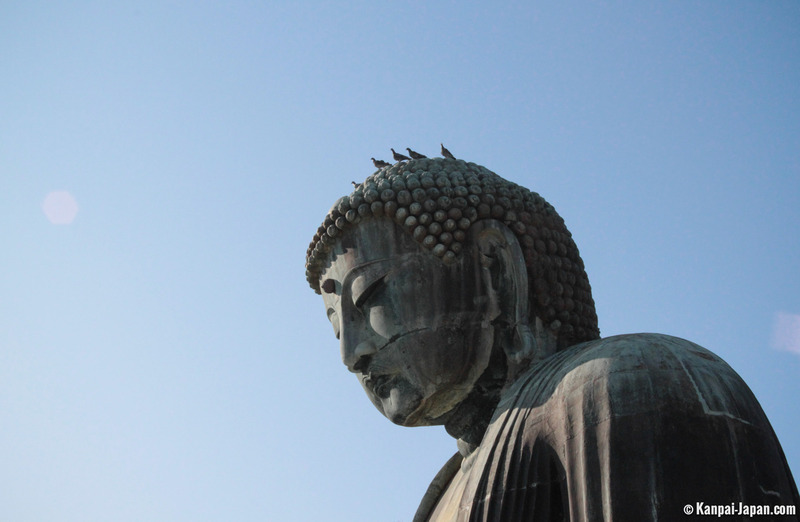 Unfortunately, the walls inside the Buddha have been covered with scribblings by careless visitors, which goes to prove that even deities may not be protected under the National Treasure label. 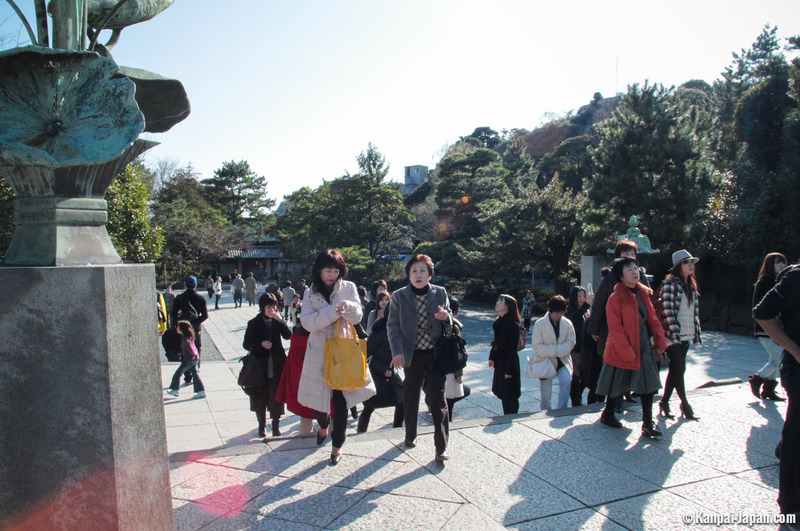 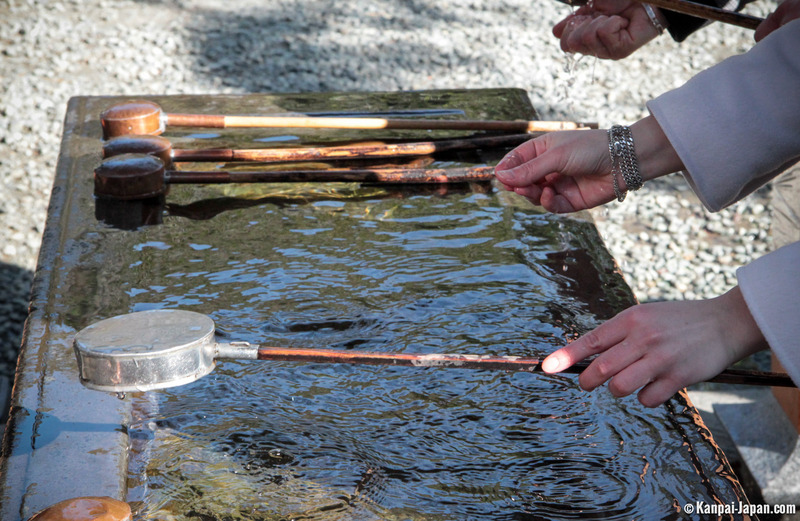 As it is easy to access from Tokyo, it is probably one of the most popular places for past architecture in the Kanto.